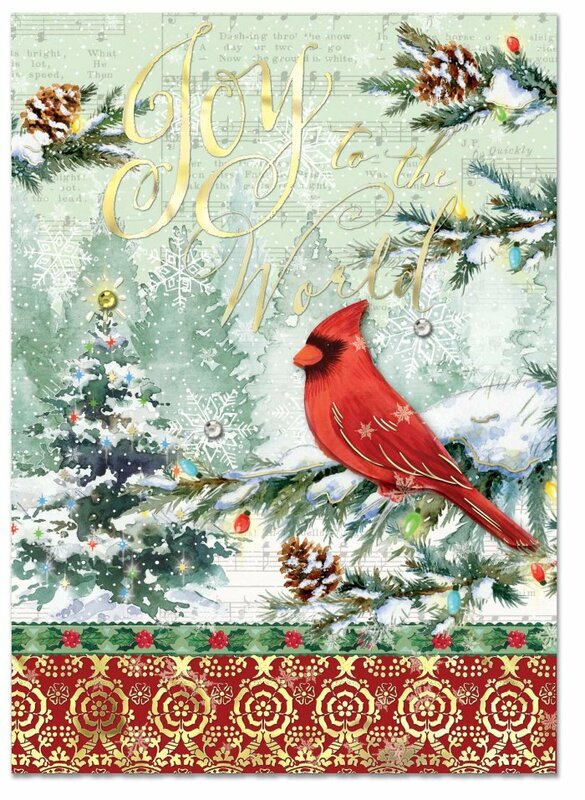 Send some joy with these delightful Christmas cards! The design features a cardinal perched upon a pine branch. More snowy trees are seen beyond, with pine cones and lights adding an extra festive touch. The message "Joy to the World" is written in gold foil, and the cards have a layered look, accented with sparkling gems. Inside is the message, "Warmest Holiday Wishes".